Tell me tell me you loved the name of this recipe! I was ridiculously proud of myself when I thought of it and as I started writing it I felt even better. And then it occured to me it was completely stupid. Not suprising - stupidity is my by name. Anyway, if you keep my stupidity aside, the title actually makes total sense. Indian recipes have this notion of being rich and drawn in thick creamy gravies. Not that there is anything wrong with creamy gravies, but we make many many dry recipes. Infact, almost all Indian vegetables have a recipe for dry curry which we call sukhi sabji, sukhi meaning dry and sabji is a common term for vegetarian curries . Such dry preparations are often served as a side dish or appetizer with a main dish like dal (Indian lentil soup). Even though such sabji is usually eaten with roti (Indian flat bread), they can easily be served on there own and are perfect for nibbling or snacking. I'm not really into frozen foods or freezing in general but frozen peas are a must in my freezer. I think they are a life saver. I have nothing against fresh peas of course. I'm known to eat fresh raw peas and eat fresh roasted peas as a meal. But one can't deny how utterly (its the word of the day) easy frozen peas make life. 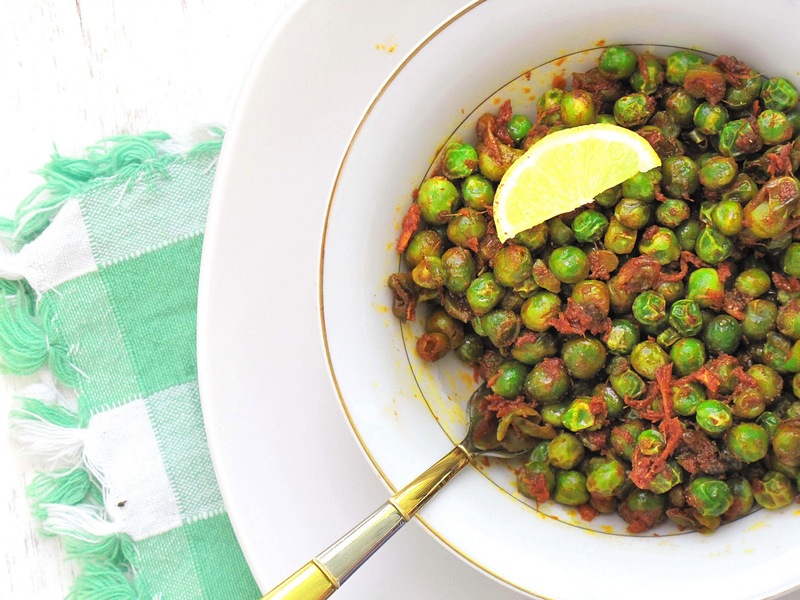 With frozen peas this recipe takes under 10 minutes to make and is utterly (told you) delicious. 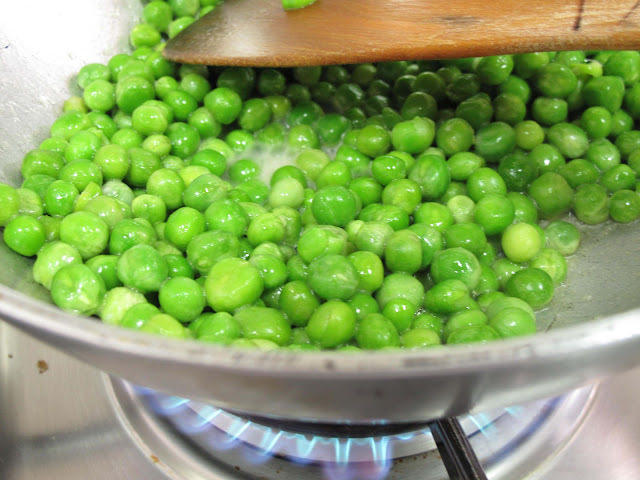 * If using fresh peas, par boil before following the recipe. 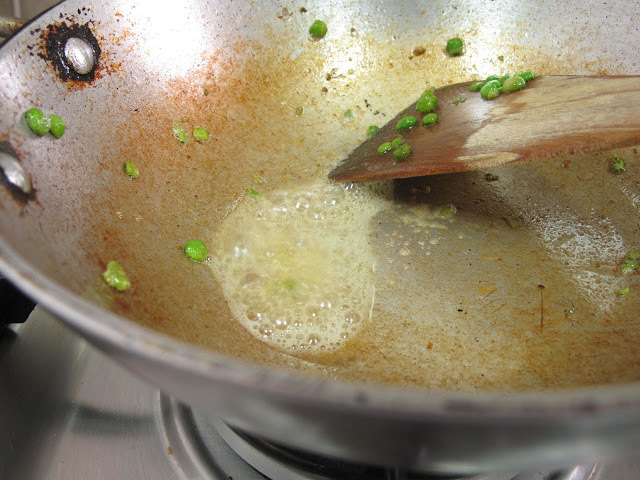 In a wok melt 1 tbsp of butter and add the peas. Turn the flame to high and let the peas absorb the butter for about a minute. Remove the peas from the wok before they start popping. 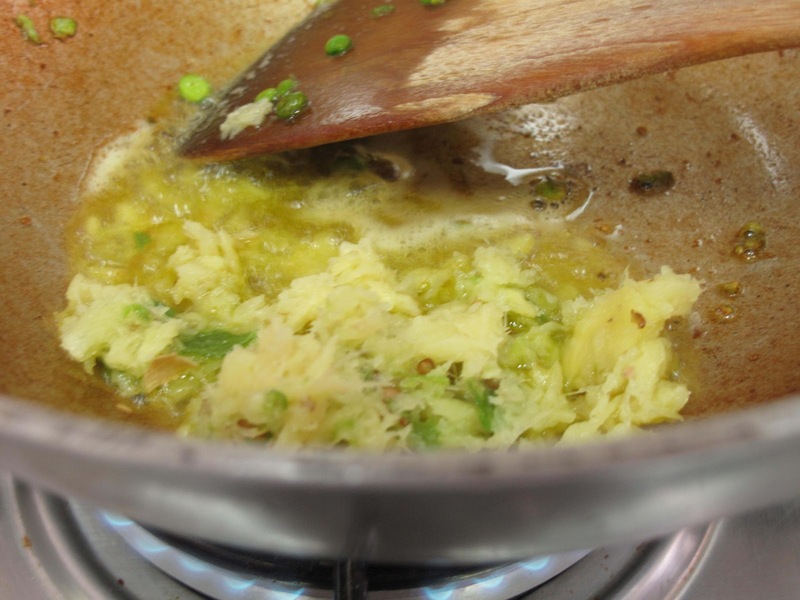 Return the wok to the stove and add the remaining butter. Add the shredded ginger and green chilly. 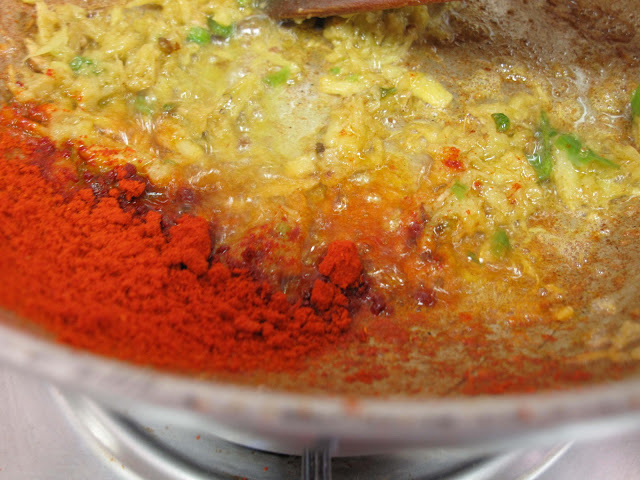 When the ginger is fried, add the red chilly powder and salt. 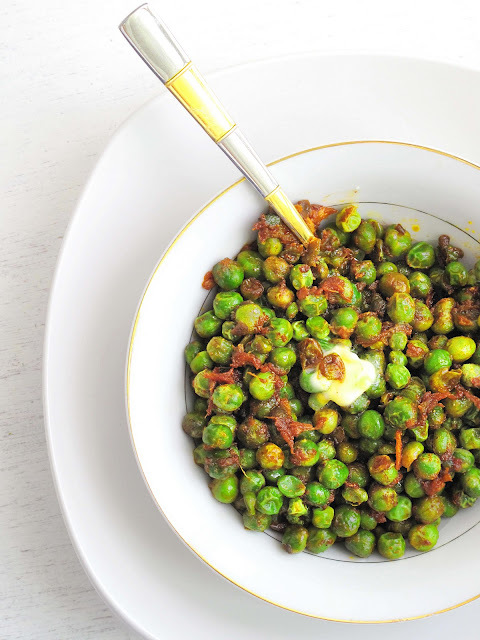 Add back the peas and garam masala. Mix well. You can't have enough butter... ever. Especially on sweet peas. wasn't it Julai child who said everyhting tastes better with butter....absolutely everything......looking great kulsum! Kulsum, I just got for the first time in ages peas here and I love this dish!! So simple but full of flavor!! Great job as always girl! Dont call yourself stupid :) This title is most apt for these peas.You must have seen in my post that I pretty much have the same recipe except that I used hell lot of sliced onions.Been eating like that since forever.I just need your masala chai and your peas and I ll be off to BILSS * ..thanks to you. I am utterly in love with these buttery peas. Is that a macro lens you are using?? Need to get one of those & make these peas. Oh, yes please! 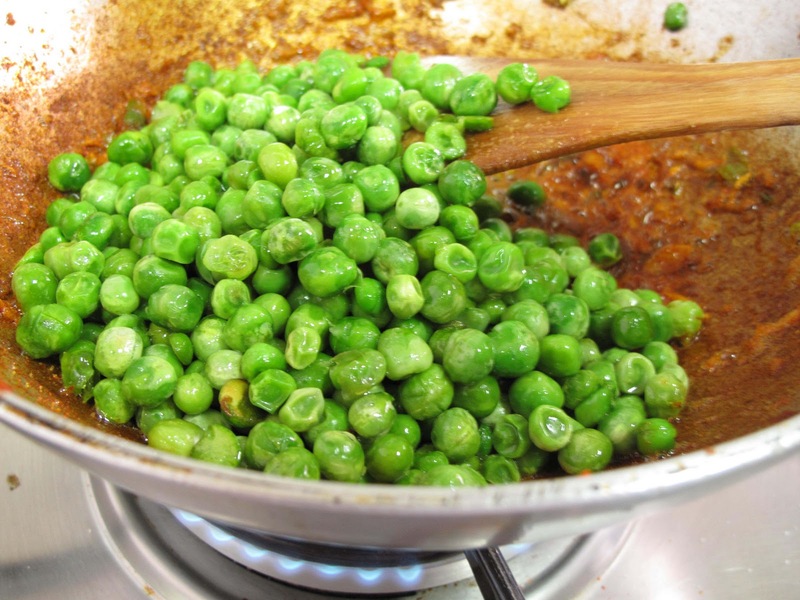 I adore peas of any kind, but I'd hate to see them get lost in a thick yogurty curry. This looks perfect for lunch tomorrow! Thank you guys for your sweet comments :-) You are fast! I'm in love with them too :-) I use a canon G10 at macro mode - It only has an inbuilt lens. I hope you make it! OMG! Yum!! I can have a bowl of this as is! And I am loving all your pics, specifically the one of the peas in a spoon. Well done my friend! Utterly buttery - I love it! I think it's the perfect name for these peas. 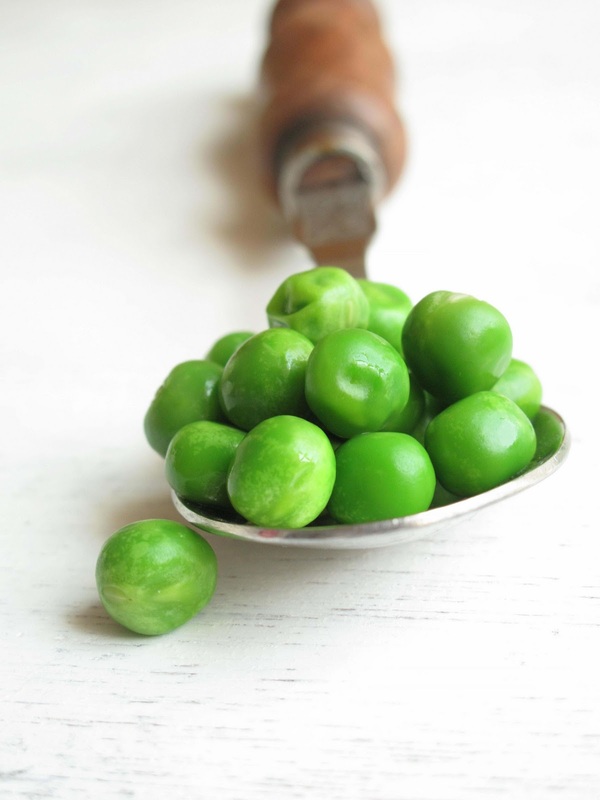 And I also love that picture of the peas on the spoon - very nice. Wow....my mouth is watering seeing your wonderful buttery matars. The dish is looking very inviting and wud love to try ur version soon. It sounds utterly butterly delicious ! I make something very similar, except I add paneer/ cottage cheese to that too. Of course I loved the title, it was fun and made me want to read on! I love fresh peas but will admit to purchasing frozen when necessary. haha utterly buttery...try saying that really fast a few times! I have a huge weakness for anything with ginger, but had never considered pairing them with peas! Yum. 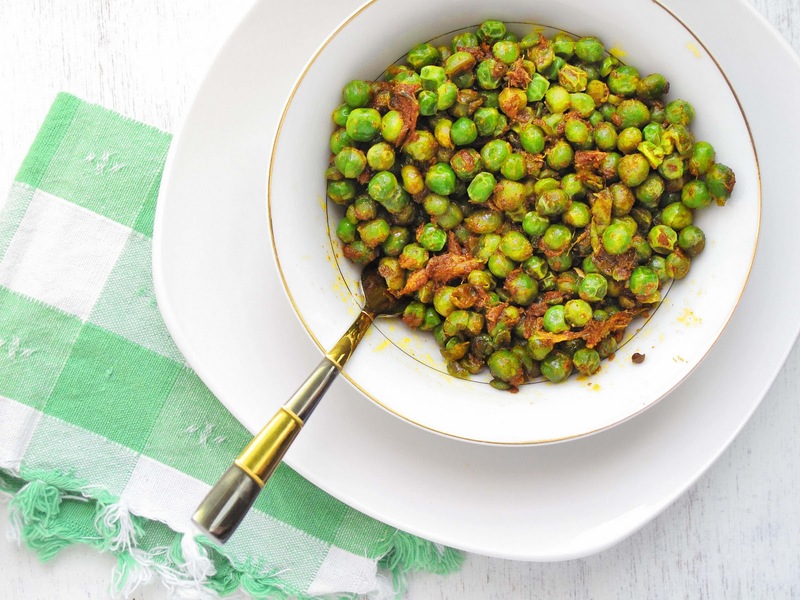 What an attractive, appropriate and unique title for this tasty pea dish! ooh I like this!!! so colorful and such great flavors. bet you could also do the same with edamame. Wow I thought the first pea(s) pic was a photo of delicious green apples. They look amazing. Did you use a macro? I tried to shoot peas a while back with disastrous results, trying to light a pea in its pod nearly put me off peas for life. But I'm a big fan of Indian flavours and your pea pics have inspired me to try again.